Today's garages go far beyond a place to merely park your car. 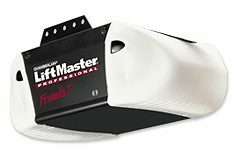 So no matter if you want the extra storage space up above, have an oversized garage door, or even a cathedral ceiling, the LiftMaster® model 3800 Residential Jackshaft Opener is perfectly engineered solution to fit your specific garage door opener requirements. 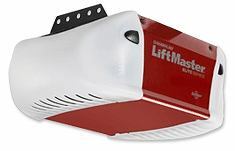 It mounts easily on the wall beside the garage door, and comes with a remote 200-watt light that can be positioned anywhere in the garage. The optional EverCharge® Standby Power System - that continues to operate your opener even when the power goes out - makes it even more convenient. 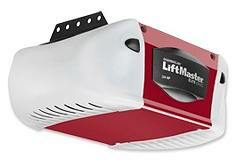 Now when the power goes out, your garage door opener will still work. 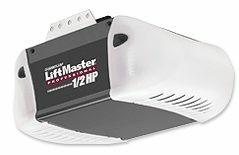 The LiftMaster® 3850 is the only 3/4 HPS* professionally installed opener with a fully-integrated standby power system. It will operate the garage door opener for 40 cycles within a 24-hour period, and recharges automatically when the power comes back on; an audible signal tells you when the power is out and the EverCharge® Standby Power System is in use. The safety and security features will continue to operate as well, ensuring your family is protected in a power failure. The opener also features smooth start and smooth stop to reduce the noise of the garage door as it opens and closes - perfect for homes with a room above the garage. Copyright © 2008-2011 San Diego Overhead Garage Doors. All rights reserved.